Time. That great, impenetrable fortress crushing every army foolish enough to rise against it. Immutable. Inexorable. Indomitable. Towers crack. Walls crumble. And you realize you weren’t breaking in; you were breaking out. Time wasn’t a fortress at all, but a prison. It’s time to walk free. It’s time to see what lies beyond. 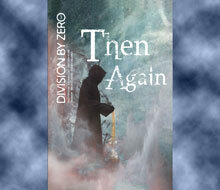 Then Again, the third edition of Division By Zero, plays with time and all its associated paradoxes. The stories feature novel theories and approaches to the time trope and the effects of manipulating the time-space continuum. 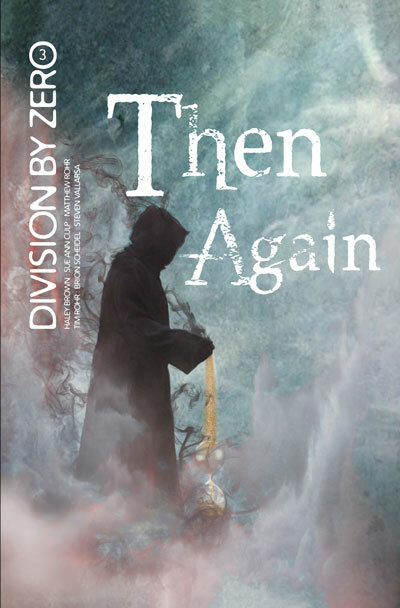 From splintered worlds to shattered lives, meddling in time can have dire consequences, but sometimes it’s the only way to do what needs doing. Purchase your copy and see for yourself, but don’t wait too long. Remember: everything that matters takes time, but time takes everything that matters. The chart at the bottom of the page shows where you can get your copy, or you can purchase your electronic copies directly from us (at a discount, even) using the shopping cart links in the sidebar.